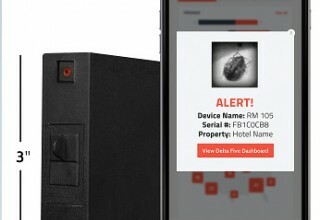 Delta Five's Automated Insect Monitoring System has a 98 percent proven success rate for catching bed bugs and other insects. RALEIGH, N.C., October 10, 2017	(Newswire.com) - On Oct. 5, the Los Angeles Times reported that a San Bernardino County Superior Court jury unanimously awarded an Arkansas family $546,000 for medical bills and emotional distress from bites and rashes obtained after a 2013 stay at the Hilton Garden Inn Ontario/ Rancho Cucamonga. The family’s lawyer noted in the article that he believed this was the biggest judgment ever in a bed bug-related case. As hotels continue to try to address the rise in bed bugs at their properties, Delta Five’s Automated Insect Monitoring System is a green solution with a field-validated 98 percent success rate at detecting bed bugs and other insects while preventing pest encounters. The Center for Disease Control (CDC) and the Environmental Protection Agency (EPA) released a joint statement on bed bug control. The report noted that while “bed bug populations dropped dramatically during the mid-20th century, the United States, among other countries, has been seeing an alarming resurgence of bed bugs.” Research shows there has been an increase of seven to 15 percent each year. While the exact cause of the rise isn’t known, research suggests that the ineffectiveness of pesticides against bed bugs, a general lack of awareness about treating bed bugs, and an increase in international and domestic travel are all contributing factors. This can be a challenge for the hospitality industry and not just with the threat of lawsuits. Dr. Jason Janet, CEO of Delta Five, noted that a single case of bed bugs in one hotel room can have a devastating rippling effect on both hotel staff and guests. He explains that while bed bugs will impact both guests and staff while at the hotel, they can also be carried with them to other locations including their own home residences. While hotels typically embrace a quarterly chemical prevention, it’s been shown to be ineffective by Delta Five’s own field research conducted with property owners and management. 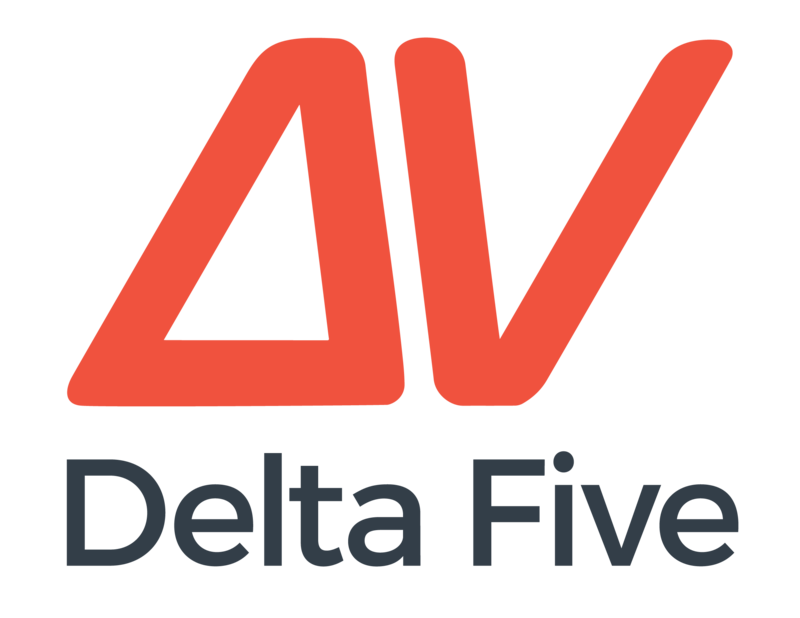 After years of development and field validation, Delta Five released their Automated Insect Monitoring System. 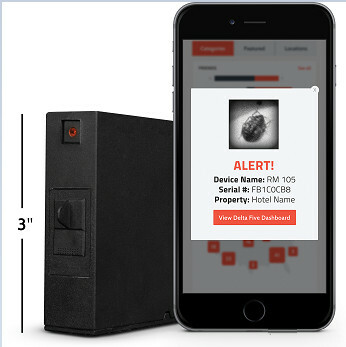 This is the first and only 24/7, safe, Wi-Fi-enabled bed bug solution for hotels, single-and multi-family properties, assisted-living facilities, call centers, waiting rooms, cruise ships, and more. The Automated Insect Monitoring System provides unprecedented early detection of pests including bed bugs and other insects. Most important, the system is organic and chemical-free, protecting the health of people and the environment. Discreet, compact, and easy to use, the Automated Insect Monitoring System, attaches easily to out-of-sight surfaces and provides remote 24/7 monitoring with real-time notification. It utilizes an all-natural, odorless lure to attract bed bugs and other insects, which are noticed by the device’s internal cameras that, in turn, activate the traps. The Wi-Fi-enabled system immediately notifies users via email or SMS. Users can simultaneously track thousands of sites, view images of captured pests and see alerts on the Delta Five dashboard. Because the system traps the insects, disposal is also easy. The system also provides a cost-savings to those that use it, and maybe just as important, it saves their reputation. Once a hotel has a reputation of having issues with bed bugs, they can lose potential guests. Hotels that are innovating with the Delta Five system are staying ahead of the curve with early detection and prevention while limiting their guests’ exposure to pesticides. Delta Five has created a true green solution in the prevention of bed bugs infestations through early detection. 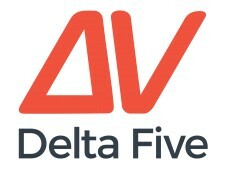 To learn more about Delta Five’s Automated Insect Monitoring System, visit DeltaFive.com. 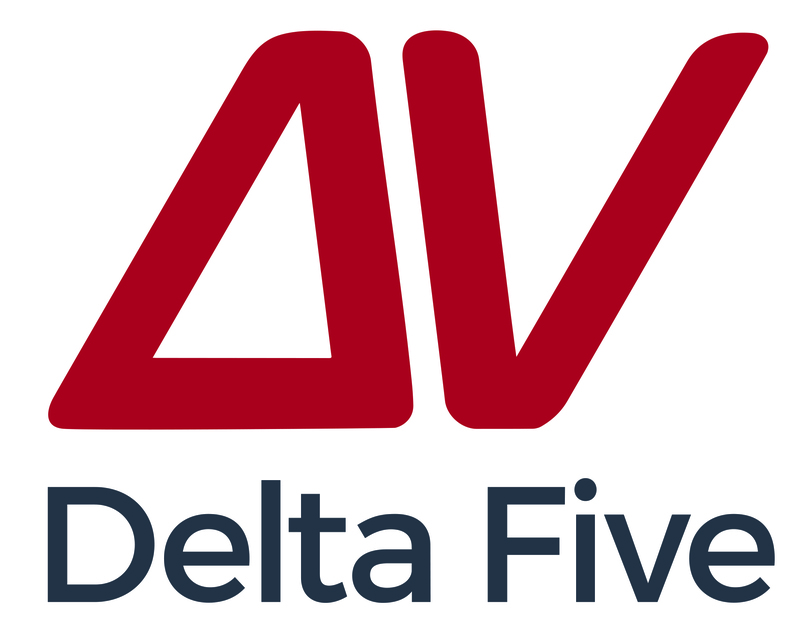 Delta Five is innovating hospitality as well as property-and pest-management with automated technologies that enhance guest and resident satisfaction, while boosting business profits and reputation. 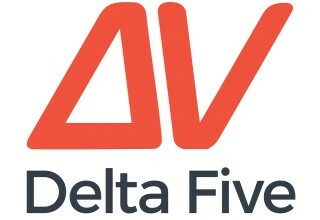 For more information, visit DeltaFive.com. 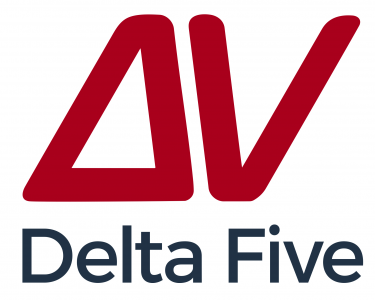 Delta Five is a technology innovator of robotics, automation, and unattended sensors. Delta Five is exhibiting in New York City at the HX: The Hotel Experience on Nov. 12-13 at the Jacob K. Javits Convention Center.